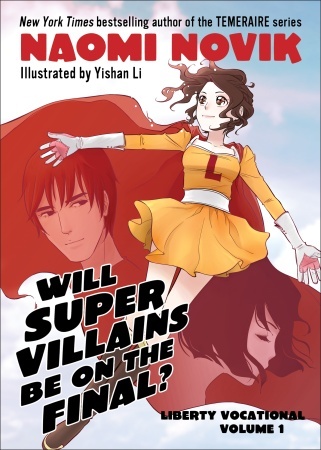 This first volume of the Liberty Vocational manga draws readers into a world where superheros and villains are a fact of life and teens are expected to live up to the responsibility their powers require. Enter Leah Taymore, sixteen-year-old prodigy who's power is the manipulation of atomic mass. Though she has a LOT of power, she cannot seem to meet the standards set by the professors at Liberty Vocational. But not everything is good and well at LV, the notorious supervillain Bane has infiltrated the school and hatched his own sinister plot to destroy the heroes of tomorrow before they graduate. This is a decent manga, though two of the teenage male characters look enough alike that it is easy to confuse the two. The story could have been helped by some background for Bane, who readers will not recognize without his mask, and from a bit more explanation of the world and purpose of LV. Readers are thrown into this manga with the expectation that they are familiar with this universe and the characters with makes tracking story details somewhat difficult.